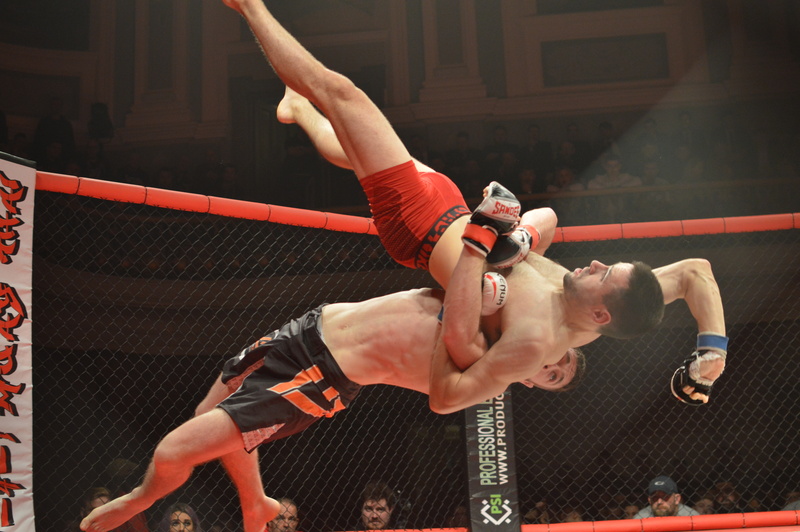 A YOUNG mixed martial artist from Inishowen who has fully dedicated himself to a career the sport recently claimed his six successive win at amateur level. 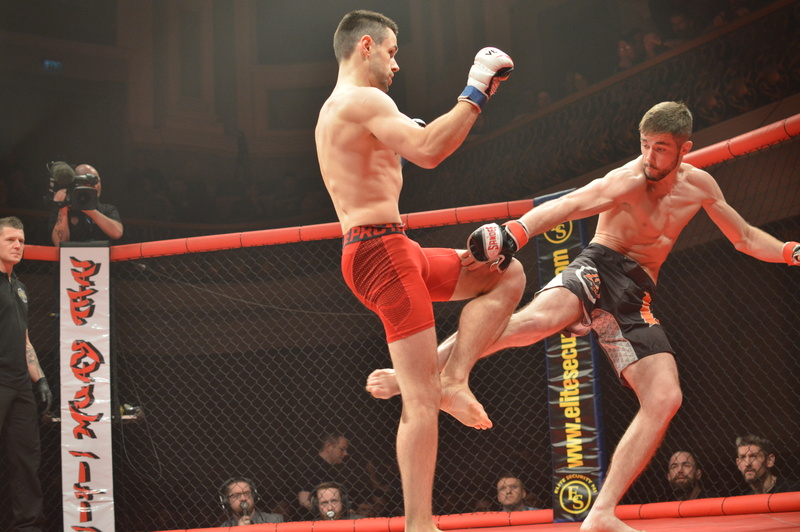 Darragh Kelly beat Carl Gallagher in their featherweight bout at Clan Wars 33 in Belfast’s Ulster Hall on Saturday, November 17. The Moville man put on an impressive performance beating Gallagher by rear naked choke in round two (of three) bringing his unbeaten record to 6-0-0. The people behind Ireland’s largest MMA promotion were so impressed with Darragh’s performance that the 20-year-old has been offered a title shot in 2019. The son of Hugh and Jackie Kelly started training full-time in MMA only two years ago with no prior experience in any other form of martial art or combat sport. One of four boys growing up in Moville, Darragh played soccer in Derry and Gaelic football for Bun an Phobail (Moville GAA Club), but it wasn’t until he found MMA at the age of 18 that he found his true passion in sports. “As silly as it sounds, I didn’t tell anyone at the time, but I had it in my head that I was going to go for it from day one. Darragh’s Brazilian jiu jitsu and MMA club also has affiliates in Donegal town, Gaoth Dobhair and two locations in his native Inishowen, Greencastle and Buncrana. Since starting out in MAA the young athlete has been under the guidance of head coach, Brazilian jiu jitsu black belt Brian Coyle and coaches Paul Pike (kick-boxing) and Rory McShane (boxing) who oversee his training. “I had competed in some grappling events before first competing in MMA as an amateur. I didn’t know what to expect going into it. “I suppose there’s always those questions in the back of your mind, ‘Am I going to be good?’, ‘Is it too early or not?’, but once I got in there it was great and I was so glad I did it,” Darragh said. 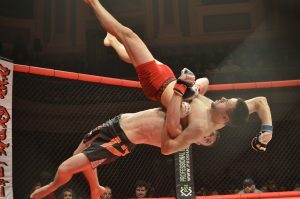 The young Moville athlete has really taken to the ‘grappling’ element of MMA, which is very evident considering that all of his six wins have come via submission. He said: “I haven’t gone into the third round, yet. I started grappling first and six months later I started kickboxing with Paul and boxing with Rory and they’ve really put a lot of time in with me along with my head coach Barney. Darragh said he is not rushing into the professional ranks just yet, but following his latest win has been promised a Clan Wars Featherweight title shot at the promotion’s next event in Ulster Hall, Belfast in early March. “That will be on my mind first and I’ll not think about anything else,” Darragh said. Darragh won his first amateur title just last month in the Akuma Fighting Championship 12 in Templepatrick, Co Antrim, when he beat a highly-mooted in Constantin Blanita by knee bar in round two. As there is no financial reward in amateur MMA, Darragh is very grateful to receive sponsorship support to allow him to continue to train full-time. “It’s all money in and nothing coming back out so it’s tough that way, there’s not too much money in the pocket, but it’s something you realise how’s going to be and get on with it if you really want to pursue a career in this sport,” Darragh said.